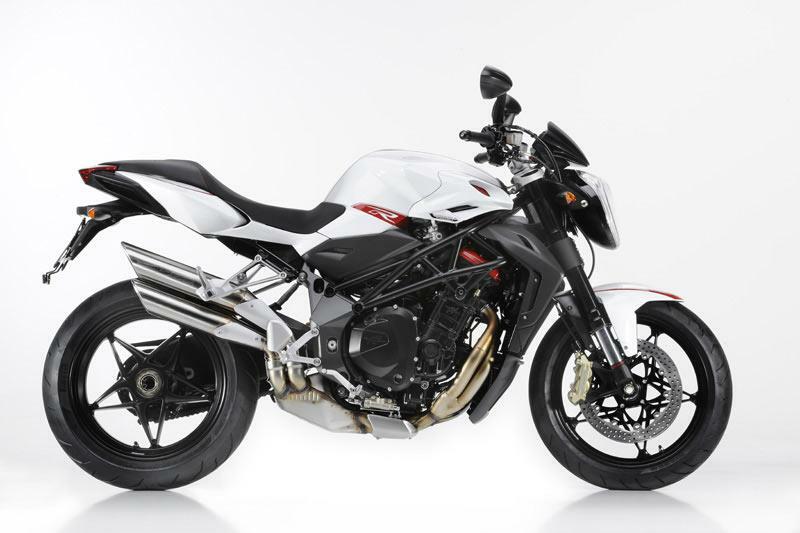 MV Augusta’s new Brutale R 1090 – offering the same capacity as the 1090RR but the budget pricing approach of the 920 – is heading to the UK. Priced at around £12,200, it will appear in UK dealerships by the end of the month. MV Agustas for sale. 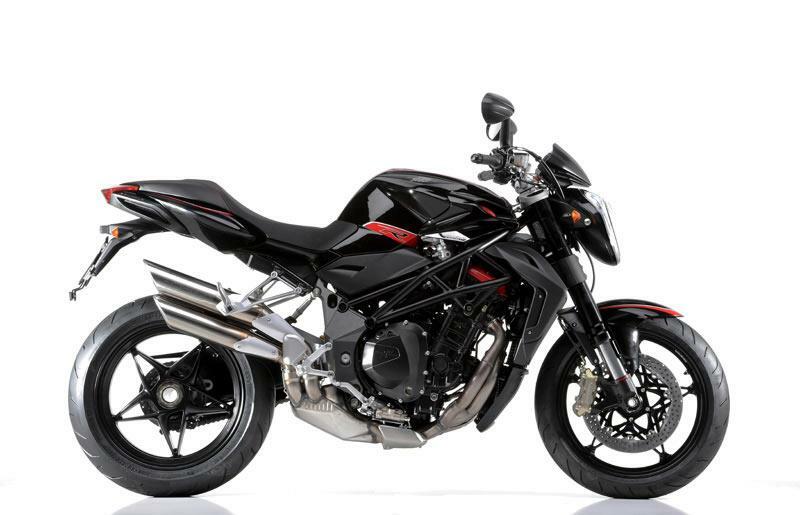 Powered by the same 144bhp, 1078cc, four-cylinder, radial-valve engine as its higher spec. 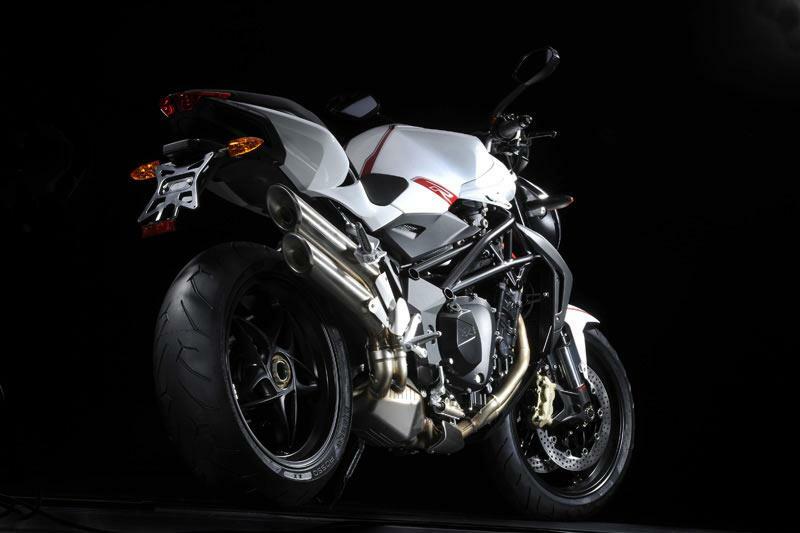 1090RR sibling it has a claimed top speed in excess of 164mph. Carrying a steel tubular trellis frame – with an aluminium alloy elements – the dry weight is given as 190kg. Suspension is provided by 50mm Marzocchi USD forks and a Sachs shock. A new ECU mapping has apparently been designed specifically for the new model, while an 8-way traction control system comes fitted as standard. The rear tyre measures up at 190/55-17, while fuel capacity is 23 litres. 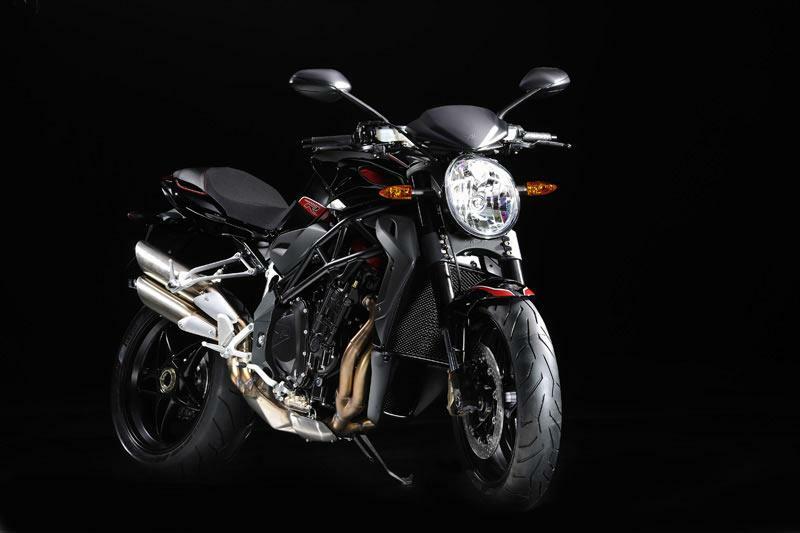 The R 1090 joins this year’s similarly “budget” Brutale 920 (£9999) at the lower end of the MV spectrum.